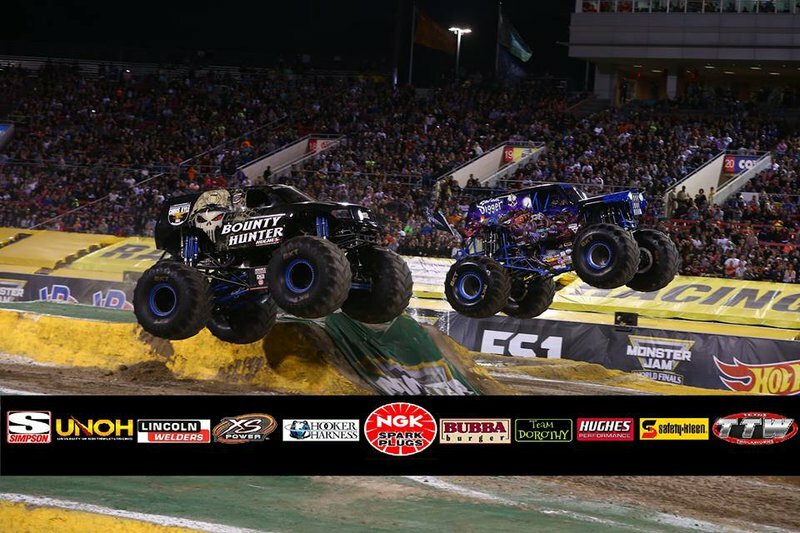 Witness monster trucks perform impressive feats at the Nitro Monster Truck Tour. Decked out monster trucks will circle the Tulsa Expo Square arena, showing off massive airlifts and stunning ramp jumps. At this thrilling monster truck event, cheer on drivers as their giant rims and wheels launch over piles of crushed metal and steep ramps. Guests can also purchase tickets for rides inside the trucks, get autographs from top drivers and snap photos of monster trucks featured on TV. Children (12 & under): $14. Children (2 & under): free. Children (12 & under): $12. Children (2 & under): free. While every effort has been made to ensure the accuracy of the pricing listed above, prices are subject to change without notice. From I-44 East/West, exit Yale Avenue, turn north on Yale Avenue and west on 21st Street. From Highway 51 East/West, exit Yale Avenue, turn north on Yale Avenue and west on 21st Street. From Highway 244 East/West, exit Yale Avenue, turn south on Yale Avenue and west on 21st Street.